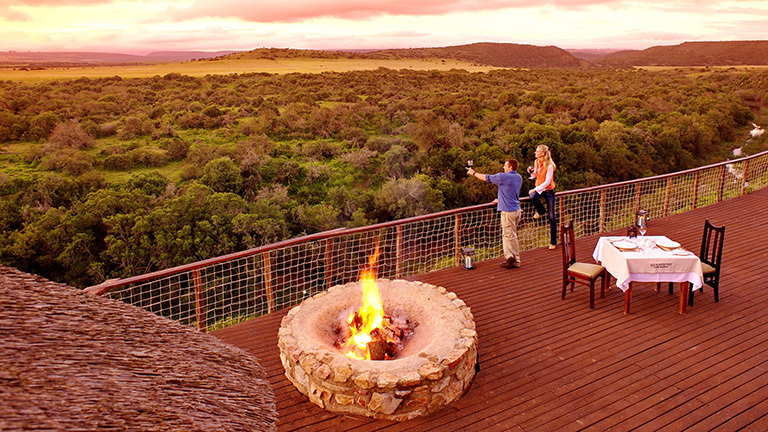 Malaria-free Shamwari Game Reserve is an outstanding and pioneering Big 5 reserve in the Eastern Cape, highlighting the importance of conservation coupled with responsible tourism. The reserve boasts five eco-systems and covers 25 000 hectares, providing a sanctuary for a wide variety of birds and wildlife. Shamwari offers a special ‘Kids on Safari’ programme where kids aged 4 and older have a chance of a lifetime to see the Big 5 and go on an educational visit to the Born Free Foundation and Shamwari Wildlife Rehabilitation Centre. 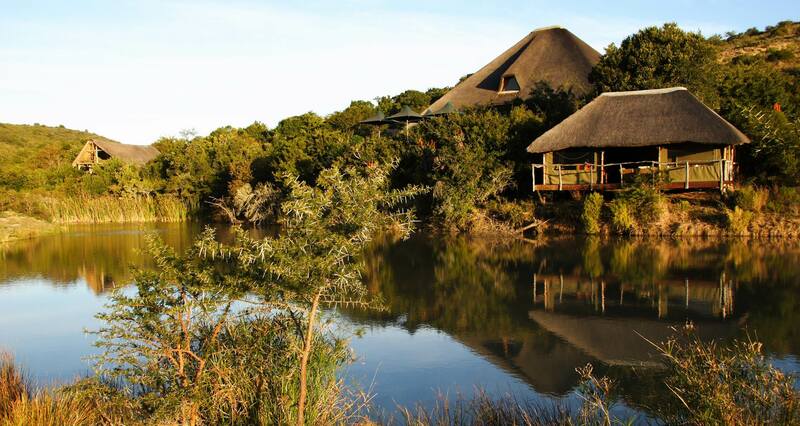 Bayethe Lodge is an authentic, but luxury, wilderness style lodge, using a mix of stone walls and thatched roofing in the main lodge, which overlooks a waterhole. 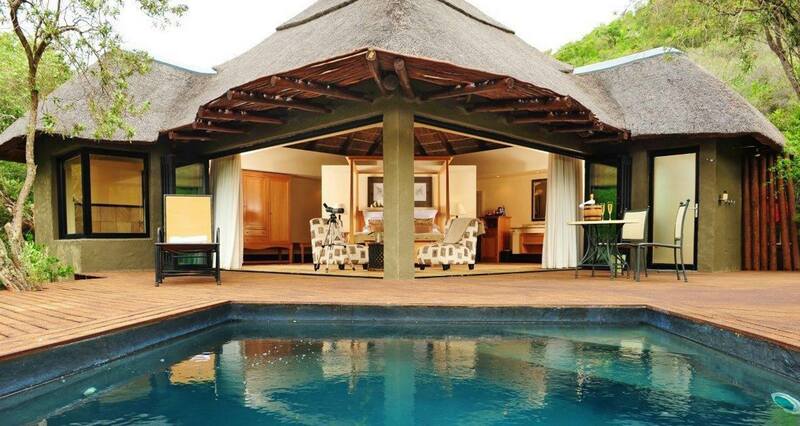 The 12 luxurious tented suites each have private plunge pools and air-conditioning. 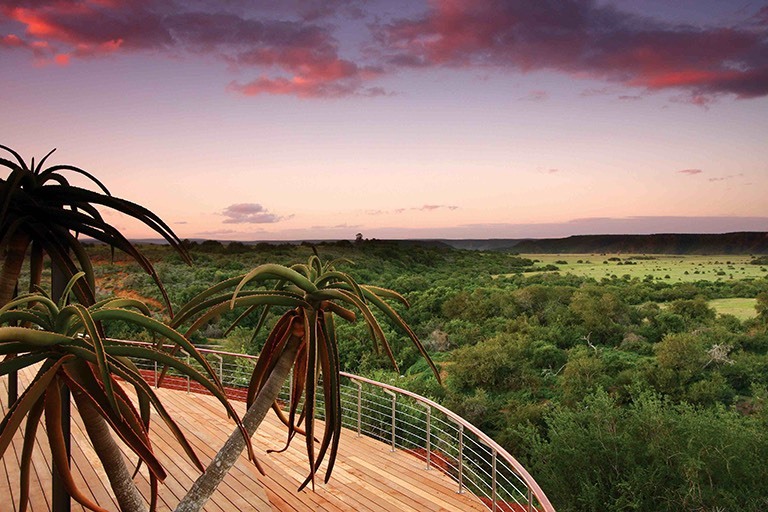 Sarili Lodge is a private African thatch contemporary designed villa with a spacious deck overlooking the Bushman’s River in the southern section of the reserve, with its own chef, hostesses and field guides. Each suite has a private patio or balcony. Eagles Crag Lodge is tucked away in a secret gorge, surrounded by forest vegetation, offering privacy and tranquillity. 9 contemporary suites each have an outdoor shower and their own plunge pool, on private viewing decks. Added features of the Lodge include a spa, a cocktail and cigar bar and a maximum of six guests per vehicle. 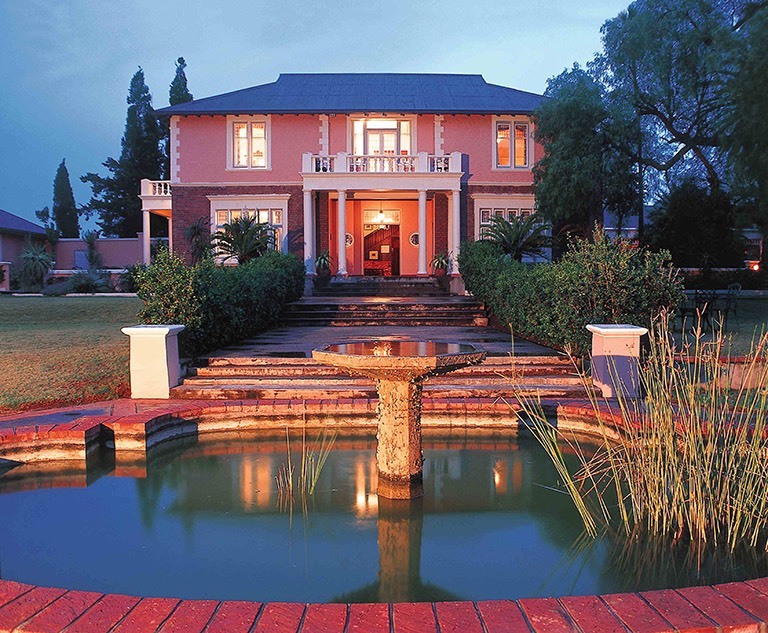 Riverdene Lodge is a restored settler's lodge reflecting the reserves Pioneer history with elegantly furnished casual lounges, a glorious sunroom and the outdoor barbeque area all invoking a relaxed "home from home" atmosphere, ideal for families with young children. 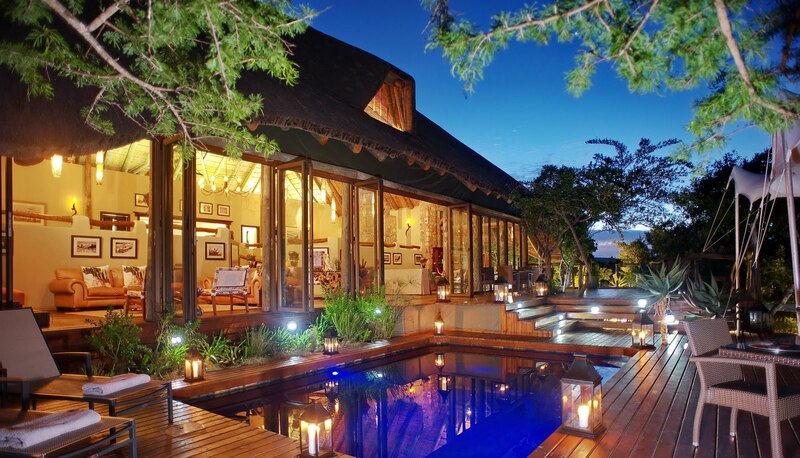 Villa Lobengula Lodge is an exclusive use lodge with 6 suites, accommodating a maximum of 12 guests, tucked deep in the bush, offering a tranquil escape. 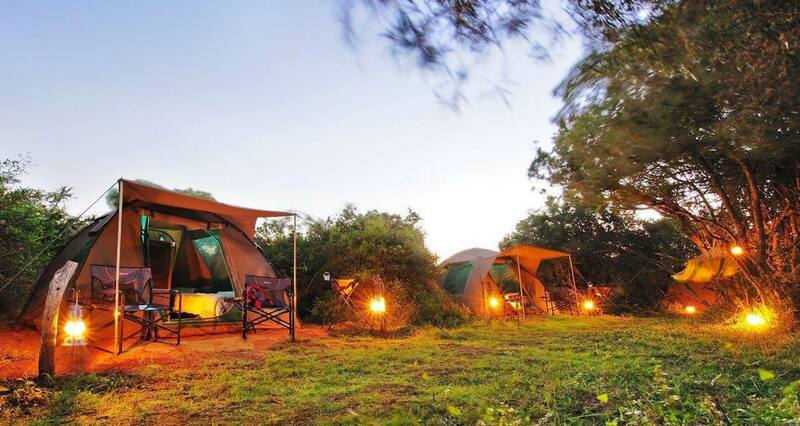 The Shamwari Explorer Camp is a unique 2-night walking experience, ideal for guests looking for an adventurous and authentic option with an ambience of a tented bush camp.